Tooth sensitivity otherwise known as dentin hypersensitivity, is a condition when you feel painful while having too cold or hot food items. Apart from that, brushing, flossing might also cause a sharp pain on your teeth. It is one of the most common issues faced by the people. Tooth sensitivity may affect an individual at any age. Exposed tooth roots due to receded gums or periodontal disease is one of the main causes for tooth sensitivity. It occurs when the tooth enamel gets worn down. When the tooth enamel gets damaged, the dentin will get exposed. Acids produced in the mouth then lead to tooth sensitivity issues. 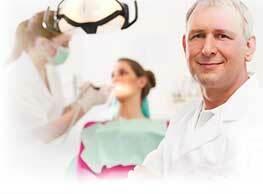 Some dental treatments like teeth whitening, braces, dental fillings etc. The dentist will be able to help you in choosing the right treatment for you. Tooth sensitivity may not be a serious health issue, but it can cause serious problems if left unnoticed.